Secaucus, New Jersey: Castle Books, 1985. 474 pp. B/w illustrations and photos. Authors such as Lawrence Mott, Jack London and Mina B. Hubbard. "Explore the rugged terrain along-side the grizzled outdoorsmen who actually experienced this life." Dustjacket has a wee bit of edgewear. Looks good in new mylar cover. Sky blue paper on boards in lovely condition. Gift inscription to former owner and former owner's book plate on front free endpaper. Text is clean and unmarked.. HC and DJ. V. Good/Good - V. Good. Warsaw: Polonia Publishing House, 1960. 339 pp. B/w photos of writers. Stories by Jerzy Andrzejewski, Tadeusz Borowski, Kazimierz Brandys, Bohdan Czeszko, Maria Dabrowska, Kornel Filipowicz, Jaroslaw Iwaszkiewicz, Zofia Nalkowska, Ksawery Pruszynski, Jerzy Putrament, Tadeusz Rozewicz, Adolf rudnicki, Jerzy Zawieyski, Stanislaw Aielinshi, Wojciech Zukrowdki. Dustjacket has some edge wear, rubbed chips to corners and head and foot of spine, tear at back top corner. Looks good in new plastic cover. Grey cloth on boards binding has a bit of fading to edges, bump to top corners. No former owner's name. Text is clean and unmarked.. HC and DJ. Good/Fair - Good. 7 7/8 x 5 3/8. Macmillan of Canada, 1974. 284 pp includes biographical notes. Stories from Malcolm Lowry, Veberley Mitchell, Ethel Wilson, Anne Marriott, Audrey Thomas, Jack Hodgins, Jane Rule, J. Michael Yates, Robert Harlow, George McWhirter, Gladys Hindmarch, Sean Virgo, paul St. Pierre, E. B. Perrault, M. Allerdale Grainger, George Payerle, Thierry Mallet, Anthony Dienheim, James Houston, Harold Horwood, R. J. Brunt, Jack London, Rudy Wiebe and Andreas Schroeder. Softcover has a couple of dots of stain, a small crease to bottom back corner, crease to spine. Cover painting by Robert J. Anderson. No former owner's name. Text is clean. No noticed corner folds or tears. A great read.. Mass Market Paperback. Good. Nelson Canada, 1974. 220 pp. A collection of short stories by such greats as Roald Dahl/ Guy de Maupassant/ Graham Greene/ E. B. White/ Alice Munro/Ambrose Bierce/ W. Somerset Maugham/ Andreas Schroeder. Softcover has a wee bit of a stain to top edge, no major creases, except along spine from opening. School text stamp on first page. No names are entered on stamp. Text is very clean and unmarked. A nice copy.. Soft Cover. Good - V. Good. 8 1/4 x 5 1/4. Toronto, ON, Canada: Turnerbooks, 1995. 132 pp. 8 traditional fairy tales told in very untraditional interprettions in this "singular and macabre collection of short stories." Read Little Red Riding Hood in its futuristic rendition and others. Softcover is in bright, clean condition, tiny bumps to top corners and a crease at back at spine bottom . Front free endpaper has been removed. Does not detract from the clean, tight, and unmarked text. A very good copy for reading.. Poetry. Soft Cover. Very Good +. 9 x 5 3/4. Cassell, 1934. Hard Cover. Cheap Edition. 6 6/8 x 4 1/2. 315 pp. A very interesting collection of five short stories set for the most part, in Phodesia: Far From the Limelight; There is Nothing of Any Importance; Th e falling Gods; His Job; Some Chronicles of the Honourable Dicky Baird and Other Rhodesian colonists. Stories concerned with Rhodesian colonists, farming, and war. The women in these stories are part i culaly interesting. Not always "happy ever after stories". Geography, Landscape, described well. Attention given to accuracy. Language (dialect vocabulary and syntax) appears authentic. Black cloth bi nding with faint gilt decorative elements and lettering on front and spine. Slightly faded. Endpapers have former owner's name. Evidence of foxing on some pages. Book has no tears. Basically clean and tight. A good copy of this extraordinary book. overall cond: good.. Hard Cover. Good. London: Oxford University Press, 1967 HC and DJ. 6 x 4. 468 pp. Nineteenth Century (First Series) An introduction by Hugh Walker. Authors such as Scott, Lamb, Irving, Hawthorne, Disraeli, Poe, Gaskell, Dickens, Trollope and others. Yellow DJ has a small chip to bottom edge and min rubbing to corners. May be price clipped but there is a price sticker on inside flap of dj. New mylar cover. Navy cloth on boards binding in very good cond. No former owner's name on endpapers. Text is very clean and tight. This book has some moisture crinkling to pages but this does not seriously detract from its appearance. Overall cond: good..
N.Y.: Dell, 1967. 160 pp. From the author of the bestselling The Blackboard Jungle and The Paper Dragon. A collection of stories, many based on talks with policemen amd detectives, lawyers, parents, criminals, addicts, teenage gang members in some of New York's worst slum areas. "All of these stories deal with violence. Softcover has some wear to the top and bottom of spine. Some faint creasing from holding. No former owner's name. Text is clean, secure and unmarked. A good copy about life on New York streets in the 60s.. Mass Market Paperback. Good. 7 x 4 1/4. N.Y.: Avon, 1986, 1986. Trade Paperback. 7 x 4 1/4. ISBN:0-380-69996-6. 178 pp. Six stories and a novella. In very good condition. Slight rubbing to edges of spine. Very gently read. 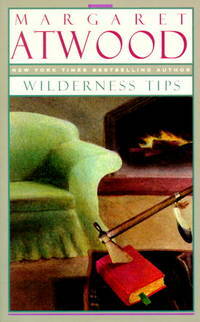 Overall cond: v. good - near fine..
New York, NY, U.S.A.: Bantam Books, 1996. 228 pp. A collection of 10 stories . "By superimposing the past on the present, Atwood paints interior landscapes shaped by time, regret, and life's lost chances, endowing even the banal with a sense of mystery." Book has very tiny bumps to corners. No former owner's name. In near new condition.. Soft Cover. Near Fine. 8 1/4 x 5 1/4.